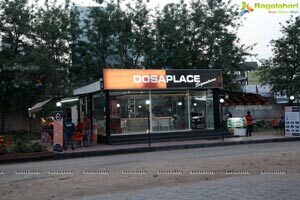 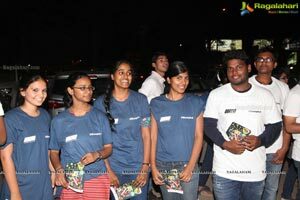 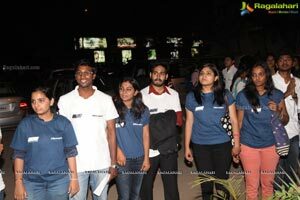 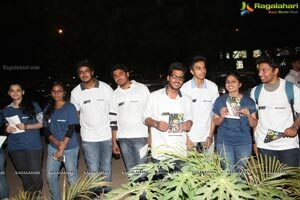 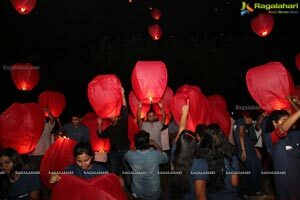 As a pre-event for the April V1 & Hyderabad Lantern Festival 2015, RISEUP successfully organized a mini-lantern gathering at Dosa Place, in necklace road today. 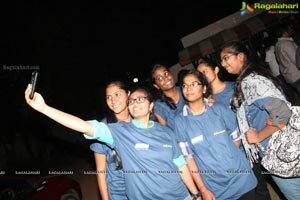 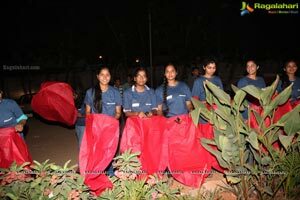 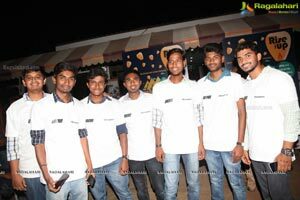 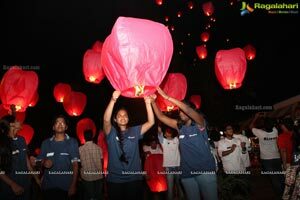 RISEUP in association with Mareechi Media Works took this initiative the event as a front face to set up lantern manufacturing unit in India which will also support RISEUP's goal to empower women rolling industry in Adilabad. 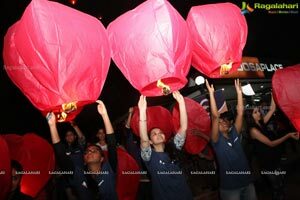 RISEUP, through this tradition, is working to Irani women in making Lanterns to provide them a better livelihood and eradicate compelled child labor as children of these families are also made to rolls beedis to add to their family income. 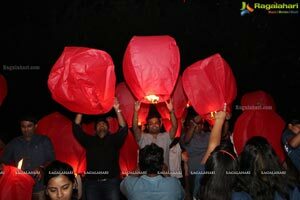 Speaking on the occasion, Rakesh Vanka, Founder of RISEUP said. 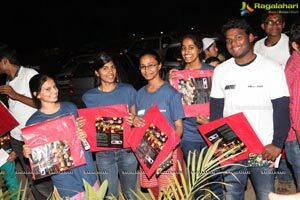 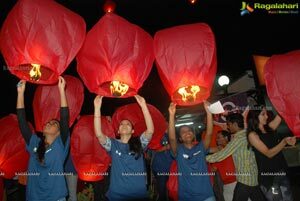 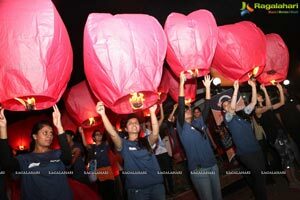 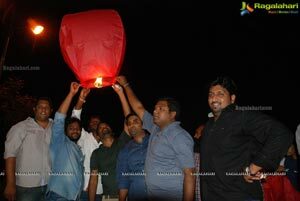 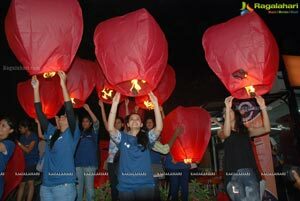 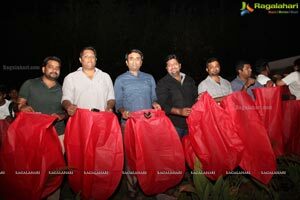 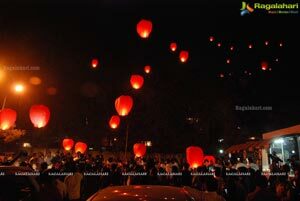 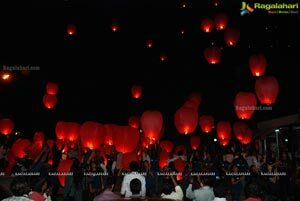 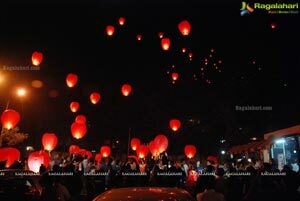 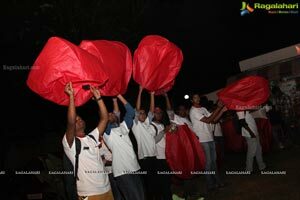 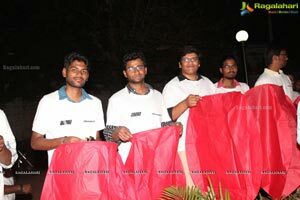 "The sky lanterns are an Integral port of all Asian countries, especially India. 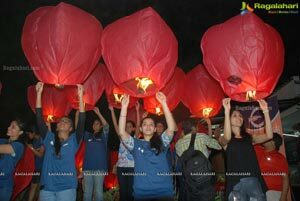 It had been my dream for a while now, to make Hyderabad the destination for a world-class lantern festival have it listed in the top fests of the two. 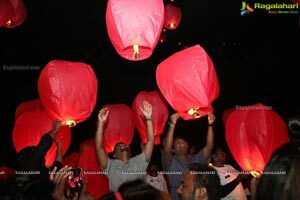 I hope that one would be able to boost of the lanterns that arc manufactured in India. 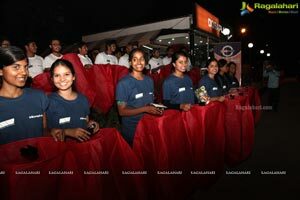 I'm very pleased to see my dream slowly turning into reality with the support of so many wonderful people organizations such Mareechi Media Works, who have lent us the immense and invaluable support, without which the event in such a large scale would not hove been possible ". 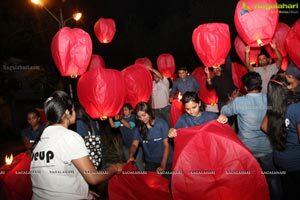 This Light A Lantern initiative by the RISEUP ended on a high note with more than 500 people lighting the sky up with about 1000 lanterns. 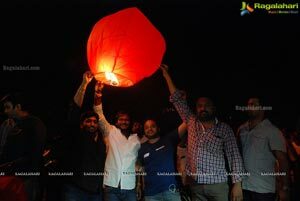 The RISEUP Fest on 3,d & 411’ April is all set to see more than 20.000 lanterns on each day with an attendance of around 50,000 Hyderabadis with a completely CARNIVAL setting for the first time in Hyderabad. 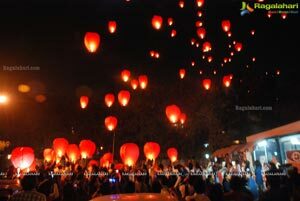 The fest is going to show a wide variety of Food/Flea market along with the spectacle of 20,000 lanterns on each day thereby catering to all walks of life. 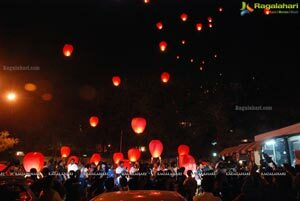 RISEUP is an initiative to primarily elevate hope, ignite dreams, and create memories. 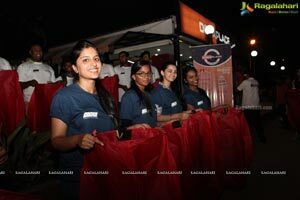 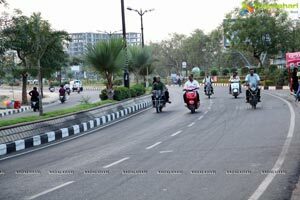 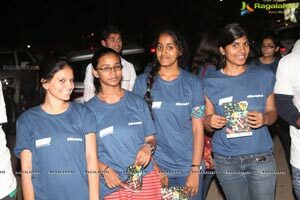 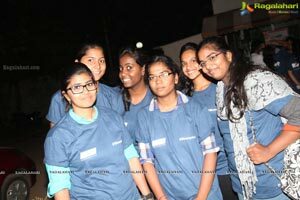 The initiative supports Women safety & Empowerment through sustainable procedures. 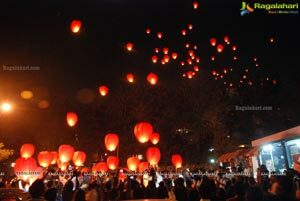 We operate with a belief that thousands of lanterns, released in unison create something beautiful. 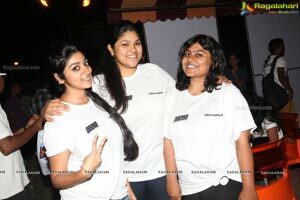 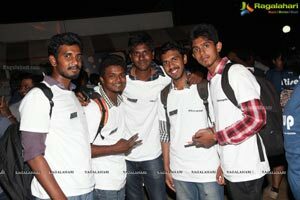 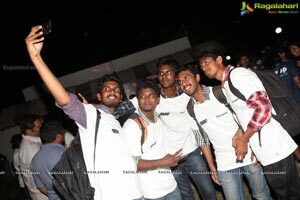 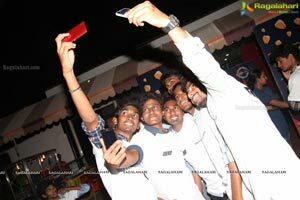 It celebrates the zest, zeal and zing of the youthful brigade. 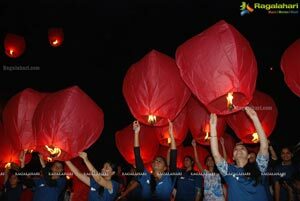 We hope that our tradition continues and one day all together as one we will light the sky full of hope for a better day. 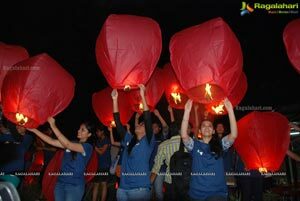 An avid lantern enthusiast, Vanka had introduced the best quality lanterns available in China to India in 2011 purely out of fascination and love to watch the sky filled with the beautiful light. 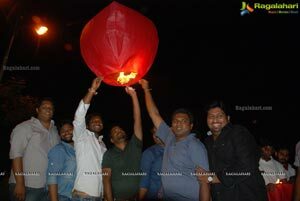 He broke the Guinness World Record for the number of lantern flown simultaneously in Hitex Hyderabad in March 2012, with a whopping 11,856 lanterns. 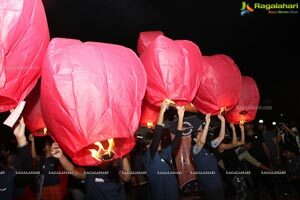 He took the lantern fest to 21 cities across with country. 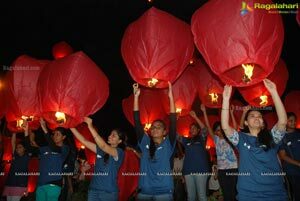 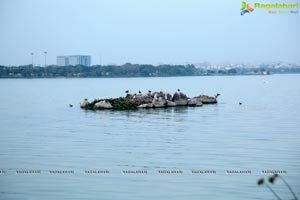 His vision is to position the lantern festival as an Annual Tourism Event which can attract people from across the world to light up the sky in India.